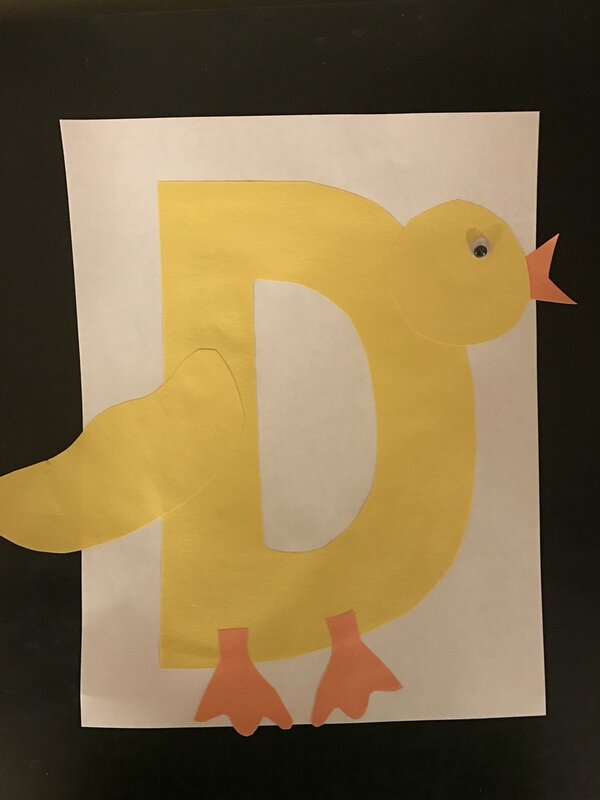 Show kids a flashcard of the letter D.
Show kids a flashcard of the letter W.
Use shakers, rhythm sticks and scarves to make wind, rain, snow, and sunshine. Stefism #46 A good way to get your kids up for school in the morning is to tell them they can play video games when they wake up. Then, once they are awake, tell them they misheard you and what you really said was that they could play that really fun game called "Empty the Dishwasher." Stefism #45 Mom's aren't allowed to get sick. Didn't you get the memo? Stefism #44 When you hear your 4-year-old pleasantly singing "I destroyed the couch! I destroyed the couch!" from the other room, don't assume he's just singing for the fun of it. Chances are he took a nail file to the seam of your new leather couch and split the whole cushion open. Bridge to Terabithia is a classic story about friendship. Jess Aarons wants to be the fastest runner in fifth grade and would have been except that a new girl, Leslie Burke beats him. They become best friends and spend their afternoons creating a magical world in the woods behind Leslie’s house. A tragedy occurs and Jess must deal with the loss of his friend. I have always loved this book. It is a beautiful story of friendship and learning what’s important in life. My daughter loved the book as well, and she enjoyed the movie. 1. Why is running so important to Jess? 2. Jess's mother appears to treat him differently than she treats his four sisters. How does that make Jess feel about himself? 3. How does Miss Edmunds respond to Jess's art? Why is that important to him? 4. Why is Leslie unhappy? Does she feel comfortable with the other kids at school, besides Jess? Why or why not? 5. Why do Jess and Leslie create Terabithia? What does Terabithia represent for them? 6. Jess feels that, "Leslie was more than his friend. She was his other, more exciting self- his way to Terabithia and all the worlds beyond." What does this mean? 7. At first, Jess's sister Brenda thinks he doesn't care that Leslie has died. Why does she think that? 8. What did Leslie's friendship teach Jess? 9. Why does Jess throw Leslie's present into the gully? How does he feel about her dying? 10. How do you think Jess will live his life differently because of his friendship with Leslie? What do you think Jess will do with his life? Twinkies, dried fruit, and crackers – the food they ate in Terabithia! We made friendship bracelets with embroidery floss. The girls learned how to make two different kinds and they turned out really cute. Stefism #43 You've got to get credit when you're being nice, right?